Are you someone looking to improve on your health and wants to take the next step to change the quality of your life, both physically and mentally? Maybe you're looking at how you can optimize your sports performance through functional training or do you want a training course with the most up-to-date content in the field of functional injury prevention - training and rehabilitation. ...Or do you have regular relapses from one injury to another, chronic injuries and would you like to know how you can continue without injury? Act2Prevent starts in 2013 with a brand new training course which, unlike our daily courses, will take several days. With 'Functional Fitness Coach Soccer' Act2Prevent accepts the challenge to ensure that the participants develop themselves into 'specialists' in training and coaching soccer players in the physical portion, keeping the holistic aspect of 'football' in mind. We aim for a very high quality level, ask a large engagement, interaction and teamwork of the participants with a unique learning environment as target. The course Functional 'FCS' (Fitness Coach Soccer) is split into 'FCS-Recrea' and 'FCS- PRO' so that you, as a soccer coach or trainer, can decide for yourself how deep you want to go into the topic. If you are very ambitious and you would like to change the current deficits in training football players into a positive outcome, please contact us. Maybe you participated into an earlier education in the physical preparation of the soccer player but the content was not clear to you or ...you had the idea that the link with soccer was missing or ...it was not practical enough ... or just ... very difficult to apply? Or do you have notions of all the physical components that a soccer player needs to train but you miss the details or the complete picture? On day 1 we apply our content to the training and coaching of 'recreational soccer players' and we focus on the main insights and techniques that you can apply with limited budgets or facilities. It is our goal to provide accessible information which is applicable and, above all, very understandable, not only for the coach but also for the football player. The 'Functional Fitness Coach Soccer - Recrea' understands at the end of the day the needs of the recreational soccer player and is capable to share, in a simple way, the most up-to-date techniques from the fitness world with the players. The 'Functional FCS-Recrea' commits him/herself to provide his/her players and club with exercises which initially bring logic to the body and which are also linked to the sport specific needs of recreational football. The 'Functional FCS - Recrea' is able to assess the current exercises and follow-up methods in football and has the necessary knowledge and insights to make a selection of what is effectively 'functional ... for football'! The 'FCS-Recrea' can participate in a number of 'open' training days of the 'FCS-PRO - training'. 'Functional FCV - Recrea': For whom? Driven and dynamic people who want to be proficient in the sport specific fitness guidance of the recreational football player. Soccer Coaches who want to broaden their knowledge in the physical development of recreational soccer players. 'Functional FCV - Recrea': content? Act2Prevent commits to ensure that the participants develop themselves into 'professional fitness specialists' in guiding football players, with full attention to the holistic aspect of 'playing football'. Goal is that participants have the qualities to guide and train football players at the highest level in a professional and sport specific way. We will work towards a very high quality course and ask a large commitment, self study, interaction and teamwork of the participants with a unique learning environment as target. In addition, there is still a lot of room in the development of 'functional training programs for football', especially in topics like 'injury prevention', 'functional screening for soccer',... You can't benefit from the best player in the world ... if he is injured. The 'Functional FCS- PROfessional' trained by Act2Prevent is not authorised for medical acts but can be very supportive and can bring innovative added value in the health and the 'Sports Specific Performance' of the soccer player. The education 'Functional FCS - PRO' challenges the participants in thinking within the concept of 'soccer-oriented fitness' and also to be aware of the latest developments. Act2Prevent ensures professional incentives, qualitative contacts from the various disciplines ... and the necessary challenges and learning environment, so that you can develop into a Functional FCS-PRO! Your progression does not stop after our training and we ask a professional attitude and the intention to become a better coach each day. For that reason, the group will be kept informed of updates, events, brainstorm sessions, ed. If you are very ambitious and you would like to change the current deficits in training football players into a positive outcome, please contact us. 'Functional FCV - PRO': For whom? Driven and dynamic people who want to be proficient in the sport specific fitness guidance within a professional framework. Ambitious Soccer Coaches who want to broaden their knowledge in the physical development of 'professional soccer players', and want to introduce and apply our techniques at the highest level. By showing interest in this course, you will receive a questionnaire so that we can picture your personal situation and how we can respond to this in the most effective way. Cardiovasculair testing & follow-up within a professional framework. 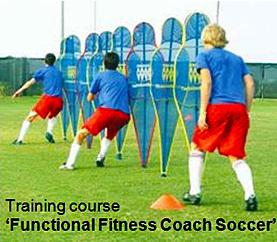 Functional strength training 'for football', indoor and outdoor + practice. Functional Flexibility 'for football', indoor and outdoor + practice. Injury prevention, recovery, nutrition ... in relation to soccer. Medical Screening of the soccer player. The content is spread over multiple weekends. The course 'Functional Fitness Coach Soccer PRO' consists of a combination of theoretical preparation with practical portion at the end. The practical portion will be a workshop and requires active participation (like giving training sessions) of the participant. 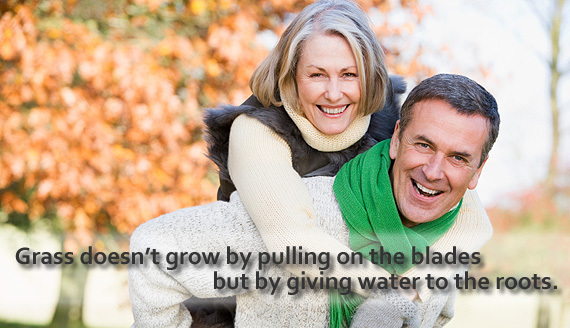 We also bring you in contact with specialists from home and abroad. That's why a basis of the English language is required. As a student in 'FCV-PRO' you will receive a $199 tutorial tool. This is tested (please bring your laptop with you) and provided to you on day 1, along with some homework. Some training days are open for externals, meaning also for participants who do not commit themselves to the whole course 'FCV-PRO'. Eligibility: Certified personal trainers/coaches and licensed health professionals such as physiotherapists, chiropractors, osteopaths and physicians. The price includes a portable Athletic 1080 test mat and free access to 1080 MAP web system for one month. 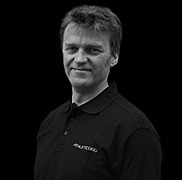 Assistant professor at the Norwegian School of Sport Sciences in biomechanics and motor control. He is an internationally renowned lecturer and innovator with multiple innovation projectsthrough Innovation Norway. Ola also works as a physical therapist at Olympiatoppen, which the Olympic training resource center in Norway. He is also a consultant for different professional athletes, teams and federations. He has taken numerous classes and courses in the field of Biomechanics, Sports Medicine and manual treatment approaches. Ola is a Fellow of Applied Functional Science (FAFS) with a Functional Manual Reaction Certification (FMR) from the Gray Institute. 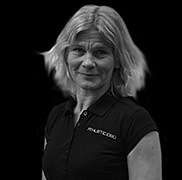 Jessica works as a physical therapist at InMo in Stockholm with extensive national and international experience. She has worked as a senior physical therapist and strength & conditioning specialist at one of the top sports medicine clinics in the United States. There she trained and rehabilitated athletes from the PGA- and LPGA Tour, NHL, NFL and MLB. Jessica is also an internationally renowned lecturer on functional biomechanics, anatomy and training. She has taken numerous continuing education courses in the field of Functional Biomechanics, Sports Medicine, OMT and KBT. Jessica is a Fellow of Applied Functional Science (FAFS), Functional Manual Reaction Certification (FMR) and Nike 360 Golf Performance Specialist from the Gray Institute. Ali received his education and training at Bosön, Check Institute, Personal Training School, HeartMath and is NG360 Nike Golf Performance Specialist and Fellow of Applied Functional Science™ as well as an innovator of functional testing. 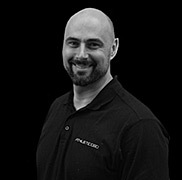 Ali has worked as a physical trainer since 1996. Since 2002 he has worked with multiple professional tennis players on the WTA and ATP Tour, where Robin Söderling has been one of the most successful. His athletic background is from American Football and alpine skiing. "WE ARE ALL ATHLETES, WE JUST PERFORM AT DIFFERENT LEVEL"
New: From 2012 onwards, our customers and contacts can also visit Act2Prevent for Podiatry, i.e. customers from the Mechelen / Antwerp region can consult Podiatrist Thorbjorn De Brul on Saturday (between 8 AM -2 PM) in our Personal Training Studio in Sint-Katelijne-Waver, Mechelen. Thorbjorn will also be part of our external assignments and of the further development of our educational products and services. In this way we hope to provide an additional asset to our existing and new customers.